New. 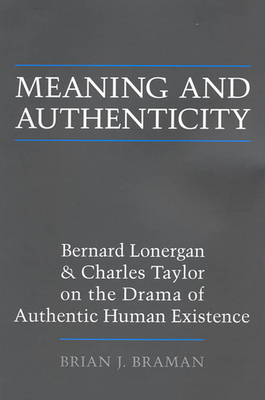 Meaning and Authenticity presents an engaging dialogue between two thinkers, both of whom maintain that there is a normative conception of authentic human life that overcomes moral relativism, narcissism, privatism, and the collapse of the public self. Num Pages: 146 pages. BIC Classification: HP. Category: (P) Professional & Vocational; (U) Tertiary Education (US: College). Dimension: 236 x 156 x 10. Weight in Grams: 240. 2008. Reprint. Paperback.....We ship daily from our Bookshop. New. Trade paperback (US). Glued binding. 146 p. Lonergan Studies.